The Concept Time Teller series of faces are meant to explore the very nature of how we view time itself. Slow Hand 24 is a simple design with one full rotation per day. 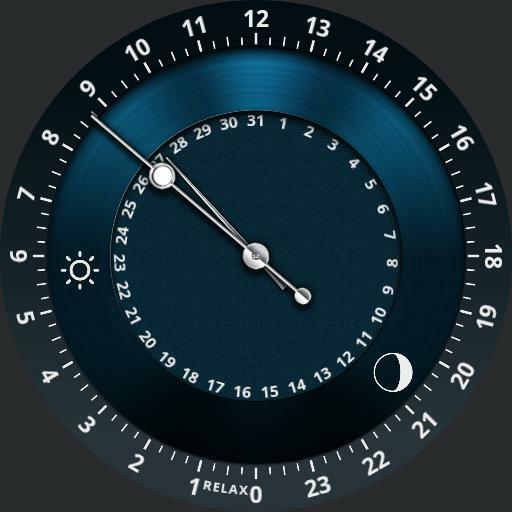 Weather icon indicates sun rise time, moon phase icon indicates sun down.